Ultra Portable, Lightweight and Easy to Use. communicate with a small audience. Indoor/outdoor gatherings/meetings, Classrooms, Meetings, seminars and presentations, Paging, Street/festival performers, Fire fighters, law enforcement, search & rescue squads,Tour guides. 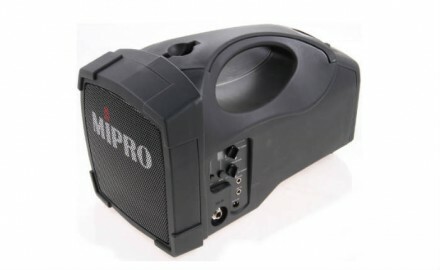 MIPRO MA-101 was introduced to worldwide marketplace 16 years ago (1996). In recent years we have seen a growing counterfeits and look-alike from questionable brands that are made-in-China. Inferior counterfeit products may not meet legal requirements in terms of materials, workmanship, and safety. Other concerns are inferior sound quality, limited wireless operating range, durability issue and no warranty will be provided.